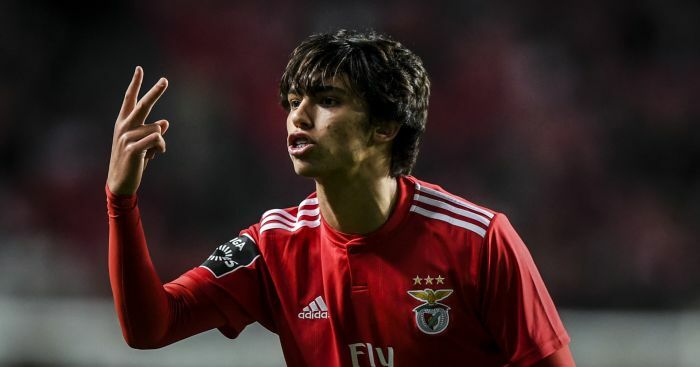 Tottenham reportedly ran the rule over Portuguese attacking sensation Joao Felix in the Europa League on Thursday night. According to reports on Football Insider, scouts from Spurs assessed the 19-year-old attacker as he stole the show in Benfica’s 4-2 quarter-final first-leg win over Eintracht Frankfurt. Felix scored a hat-trick and also notched an assist as he once again demonstrated the brilliant form that has some of Europe’s biggest clubs sit up and take notice. Manchester United, Liverpool, Real Madrid, Bayern Munich and Barcelona have all been linked with the Portugal Under-21 international since the start of the season, even though Benfica tied him down to a new contract with a £106m release clause last November. Felix has scored 15 goals and supplied seven assists in 36 appearances this term, with 10 of those strikes coming in league outings even though he was mainly used as a substitute up until early 2019. The youngster mainly plays in behind the striker but also has the ability to play out wide, which is the sort of versatility that Tottenham boss Mauricio Pochettino loves. And with constant talk of Christian Eriksen moving on at the end of the season, the need for a new No 10 in north London is becoming ever more apparent.